July 16, 1988 is the day most Western fans of Japanese anime recall as the day that put this modern art form on the global map. This was the day that the movie Akira was released in the US. Audiences were shocked by its hyper-realism, and hailed the series and its creator, Katsuhiro Otomo, as the emergence of a new cultural phenomenon. Otomo was born in Tome-gun, Miyagi Prefecture, in April 1954. As a child, he held a fanatical love of movies, often travelling over three hours on the train to see films in Sendai. His visual imagination translated itself easily into the comic form, and after leaving high school, he took what many others had hoped would be the road to fame and fortune - moving to Tokyo to get a job in the burgeoning manga industry. His first commission was writing short strips for Action comics, which began appearing in October 1973. His apartment was in a newly developed area outside of central Tokyo, and the residents were an odd combination of old-school downtown types - manual laborers, bartenders, low-level yakuza - and young couples with babies, bewildered by the new suburban experience. These characters were to make their way into Otomo' later fiction, giving the stories a warm, totally believable feel. In this period he was absorbing many influences, both at home and abroad; he was deeply impressed with the cityscape of New York, where he and his wife Yoko went on their honeymoon. In 1979 he started the serialized (but sadly unfinished) "Fireball," which introduced the themes which later became his trademark; supercomputers, psychic powers, and a future Japan as a post-nuclear totalitarian state. From 1980 to 1982, Otomo found himself with his first smash hit on his hands. This was the serialization of "Domu" (A Child's Dream), a chilling and visually stunning tale of a suburban community manipulated by a mysterious resident, with the power to telepathically control others. The graphic novel was an instant success, and is still in print today, having so far sold over 500,000 copies. The English translation was released by Dark Horse comics in 1996. "Domu" was also a critical success; it won Japan's Science Fiction Grand Prix awards in 1983, making it the first time ever that the recipient was a manga. After that Otomo began work on his masterpiece "Akira," which was to take ten years and 2000 pages. In early 1988 the animated film was released in Japan, with Otomo assuming the roles of director, writer, designer, and senior illustrator. It was the biggest box-office taker that year in Japan, and then went on to wow the rest of the world. What mesmerized audiences were not just the complex themes and characters but also the photo-realistic quality of the backgrounds, making Akira's Neo-Tokyo a vivid, terrifying place to visit. Otomo has divided his time since between further manga and both animated and live-action films. His devoted fans, however, are still waiting for further stories set in the world of "Akira," for they believe that nobody draws the Apocalypse better than Otomo. Katsuhiro Otomo was born in April 1954 in Japan's Miyago Prefecture, an agricultural and fishing province some 400 kilometres north east of Tokyo. He attended Sanuma High School where he developed a keen interest in film - in particular the American 'new-wave' cinema of the late sixties and early seventies. Otomo's filmic obsessions would heavily influence his later work. A fan of American and (especially) European comics, Otomo developed a realistic art style that eventually revolutionised the way manga is drawn in Japan. After graduating from high school, he moved to Tokyo with the goal of becoming a comic book artist. October 4th, 1973 - Otomo's first professional work - A GUN REPORT - appeared in the weekly magazine ACTION. The piece was an adaptation of the Prosper Merimee novella MATEO FALCONE, in which a young boy in 19th Century Corsica accepts a bribe from a wounded smuggler to hide him. The boy subsequently betrays the smuggler to his policeman uncle, and is then shot dead by his enraged father after being forced to recite his prayers. Otomo went on to create a number of self-contained shorts for ACTION over the next few years, trying his hand at a wide range of subjects and genres, including humour, war stories and historical pieces. 1974 - Otomo began his first 'headline' strip in ACTION, BOOGIE WOOGIE WALTZ; a series of short stories delving into the seemier side of urban living in modern-day Tokyo, dealing with drug abuse, sexual perversion and rock music. 1977 - Otomo visited New York, and on his return created NIPPON SAYONARA, chronicling the story of a Japanese professor of martial arts living in Manhattan. At the time, it was Otomo's longest sustained work in comics. 1979 - Otomo embarked on his first truly long-form work with the dystopian SF serial FIREBALL. Although never completed, FIREBALL is significant as it was Otomo's first real foray into science fiction, and introduced a number of concepts and themes that went on to feature in his later work - notably that of man vs technology. 1980-1982 - Otomo followed FIREBALL with the more ambitous DOMU - a horror story about duelling psychics set in a dilapidated Tokyo housing complex, and serialised in ACTION over the course of two years. DOMU was hugely popular, and saw Otomo achieve his first major mainstream success. Otomo was at his most prolific during this period, also producing the intensely bleak war epic KIBUN WA MO SENSO (scripted by the acclaimed Japanese novelist Toshihiko Yahagi, adapting from his own novel), and IT'S A CRAZY, CRAZY WORLD - a popular series that parodied classical works including those of Charles Perrault and Lewis Carroll. In 1981 he also completed his first full-length 16mm film - GIVE US GUNS - while In 1982 he worked in animation for the first time, designing several characters for the epic anime HARMAGEDON. And then, of course, there was AKIRA. December 6 1982-1990 - AKIRA began bi-monthly serialisation in YOUNG MAGAZINE. Over the course of its eight year run, Otomo's epic masterpiece turned him into a superstar in his own country, and changed the way manga was perceived in the West forever. 1983 - The collected DOMU won the Grand Prix Award for best Science Fiction (Japan's equivalent of the Nebula) - the first manga ever to have won the prestigous award. 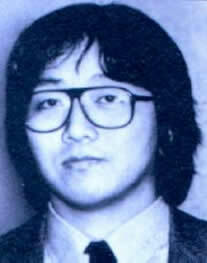 1984 - Otomo recieved the 8th Kodansha Comic-Strip Award for AKIRA. 1986 - Otomo made his 'professional' directorial debut, helming an episode of THE LABYRINTH STORY for Japanese television. 1988 - Otomo directed the opening and closing segments of ROBOT CARNIVAL - a frankly insane anime version of FANTASIA, except with giant robots instead of animals. 1988-1995 - AKIRA was published for the first time in the US by Marvel's mature readers Epic line. Released in 38 squarebound 'bookshelf format' installments over seven years, the Epic version was coloured digitally by Steve Oliff at Olyoptics under Otomo's supervision (AKIRA was the first serialised comic book to be coloured entirely by computer - Oliff won an Eisner for his efforts in 1992). Epic's serialisation coincided with the release of the animated feature version of AKIRA in Japan - written and directed by Otomo himself. At the time, it was the most expensive anime ever made (budgeted at over a billion yen), and was the biggest grosser at the box-office that year. The film received a limited US release late in 1988, screened mainly at art-house cinemas to rave reviews and sell-out audiences. A video release quickly followed and AKIRA became a massive cult hit in the West, leading to the first anime boom of the early nineties. 1990 - The success of AKIRA marked the begining of Otomo's withdrawal from the world of comics. THE LEGEND OF THE MOTHER SARAH, again serialised in YOUNG MAGAZINE, has to date been Otomo's last major work in the field. Otomo only provided the scripts for this future tale of a mother searching for her lost children acrosss a post-apocalyptic wasteland, however, with newcomer Takumi Nagayasu handling the art chores. 1991 - Otomo's first foray into live action film-making - WORLD APARTMENT HORROR - was released in Japan. A comedy horror with a supernatural twist about a low-level yakuza given one week to evict the immigrant inhabitants of a run-down apartment block, WORLD APARTMENT HORROR stars the acclaimed actor/director Sabu (who won best newcomer award for his performance at the Yokohama Film Festival). Otomo also scripted the mecha-SF-comedy anime ROUJIN Z, directed by Hiroyuki Kitakubo, who worked under Otomo on the film version of AKIRA. 1995 - MEMORIES, an anthology film consisting of three experimental animated shorts, premiered in Japan. Each segment of the film was based on a manga short by Otomo, who himself directed the third segment CANNON FODDER. The title of the film comes from the original title of the manga the first segment of the film is based on - although here it is confusingly retitled MAGNETIC ROSE. 1997-1998 - Otomo acted as 'supervisor' on two critically acclaimed anime features - the psychological horror PERFECT BLUE (directed by Satoshi Kon, who also created the manga adaptation of Otomo's WORLD APARTMENT HORROR) and the more traditional SF/action adventure SPRIGGAN - directed by Hirotsugu Kawasaki. 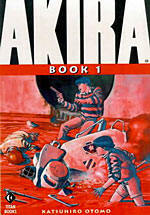 2000 - Dark Horse accquired the US rights to AKIRA, and set about publishing all six volumes in their original, over-sized black and white format. Dark Horse won the Eisner awards for Best Archival Collection/Project and Best US Edition of Foreign Material for these editions in 2002. 2001 - Otomo provided the script for the enormously successful anime adaptation of manga legend Osamu Tezuka's METROPOLIS. Otomo is currently working on his first full-length animated feature since AKIRA - the Victorian SF epic STEAMBOY. Budgeted at 2.4 billion yen, Otomo has for the second time made the most expensive anime in history. The film is scheduled for a fall 2003 release in Japan. Otomo's manga career seems to have permanently stalled (with Otomo himself having been quoted as saying he prefers working in film), and many long-promised projects - including HUNCHBACK, a collaboration with Alexandro Jodorowsky - appear to be on indefinite hold. KABA: KATSUHIRO OTOMO ARTWORK 1971 - 1989, published by Kodansha International. MANGA! MANGA! by Frederik L. Schodt, published by Kodansha International. 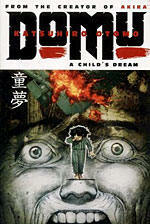 DOMU: A CHILD'S DREAM (1996): Otomo's breakthrough work is a violent and often disturbing affair, blending Otomo's long standing thematic concerns about urban poverty and decay with his newfound interest in parapsychology and psychic abilities. It also features one of the more memorable psychopaths ever to appear in 2D form, the senile but villainous Mr Cho. Makes SCANNERS look like THE TOMORROW PEOPLE. 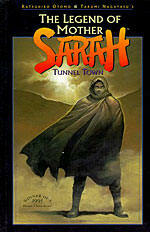 THE LEGEND OF MOTHER SARAH: TUNNEL TOWN (1996): Otomo's last major work in comics is in stark contrast to the likes of DOMU and AKIRA, as he eschews his usual routine of probing the darker side of the human psyche in favour of an uplifting emotional tale that re-affirms everything that is good and great about the human spirit. Otomo only provides scripts for THE LEGEND OF MOTHER SARAH, while the very Otomo-influenced Takumi Nagayasu handles the art. AKIRA (2000): It's almost impossible to overstate the far-reaching influence of AKIRA, which has had an enormous impact not just in Japan, but in the Anglophone and European marketplace as well. None of that, however should detract from the fact that this is one of the greatest SF stories available in comic form, and still holds up remarkably well today, over twenty years since Otomo began the mammoth project. Dark Horse's six phone-book sized reprints are definitely the best way to experience it; if you haven't done so already, start your investigation of Otomo here, and prepare to spend a lot of money. Article was writen by Nick Brownlow at www.ninthart.com. Nick Brownlow is an IT professional and writer.